On Sunday, the International Temple Institute will be celebrating the fifth annual International Temple Mount Awareness Day in honor of the new Hebrew month of Nissan, which inaugurates spring. The month of Nissan is a time of renewal and rejuvenation and the institute hopes, of rebuilding. The day seeks to celebrate the promise of the rebuilding of the Jewish Holy Temple in Jerusalem and to help fuel the revolution in Temple consciousness that is taking place in Israel. 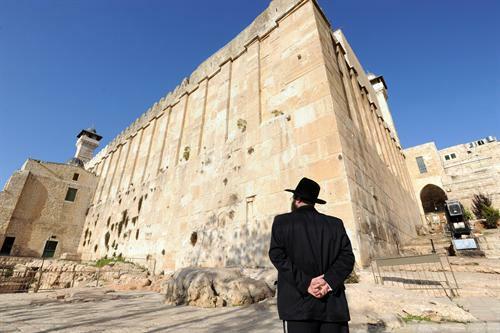 Recently, a discussion was held in the Knesset to discuss the status of the Temple Mount at the behest of Member of Knesset Moshe Feiglin from the Likud party. Temple awareness is something that is difficult to come by in today’s society. Rabbi Chaim Richman, International Director of the Temple Institute, attributes this lack of awareness to the style of education being offered since the reunification of Jerusalem. Rabbi Richman believes that education is the key to changing these misconstrued perceptions. “We encourage everyone to familiarize themselves with what the Temple Mount means, not only for the Jews but for all of humanity,” he said. The Temple Mount has been a lightning rod for Arab animosity and violence against Israel ever since the reunification of Jerusalem. In the summer of 2000, the Palestinians used the ascension of at that time Defense Minister, and later Prime Minister Ariel Sharon, to the Temple Mount as an excuse to start the Second Intifada. More recently, in response to the Knesset discussion about the Temple Mount, the Jordanian Parliament formally requested that King Abdullah absolve the peace treaty between Jordan and Israel. According to the current agreement between the Israeli Police and the Muslim Waqf, the organization that supervises the Temple Mount, non-Muslims are not allowed to pray on the mount. There are Israeli police officers who work together with Waqf personnel to enforce these law by staring at the lips of the visitors and tourists while they are on the mount. The Waqf feels that any Jew praying on the Temple Mount is a threat to the sovereignty that they currently have over the site, let alone any politician or member of the government coming up to visit the site. Rabbi Richman does not consider himself to be a politician, but does acknowledge that the “obstacles today are political.” The goal of the Temple Institute is to, as Richman explained, “build the Temple and fulfill the commandments.” Richman seeks to educate and inspire through the Bible the importance and sanctity of the Temple. Richman also addressed the pluralism which the Temple was a symbol for in that the Temple was not exclusively a Jewish place, but helped all the nations of the world. The International Temple Mount Awareness Day is geared towards educating, informing and inspiring people about the Temple. This includes awareness through art, culture, and education about the Temple Mount. Facts such as that the Temple Mount is the world’s largest man-made plateau can be gleaned from the awareness day events. Symbolically, the day is being held right before the anniversary of the day that the Tabernacle was inaugurated in the desert, when God’s spirit found its first home in the world. The worry says Richman, is that we have become disenfranchised, and disconnected with the Temple. There has been an uninterrupted tradition and relationship between the Jews and the Temple Mount since the time of King David.Today, that relationship is what we are lacking. “We need to kindle in the hearts of the Jewish people and all of humanity, the desire to build the temple via education, raising our consciousness that something is missing from our lives, and realizing the message of the prophets, so that we can elevate all of human existence,“ Richman urged. I am a strong believer in the existence of the Nation of Israel. We cannot and shall not be able to separate the nation with the temple. The nation of Israel is not complete without the Temple and I long to see the Temple rebuilt for it is the will of our Almighty God. We all wait for the return of the Messiah and He will not come until the Temple is rebuilt. Please note that the image shown is of the cave of the patriarchs in Hebron and not of the Temple Mount. You may want to change it.